Every fitted sheet has a tag sewn into one of the corners. 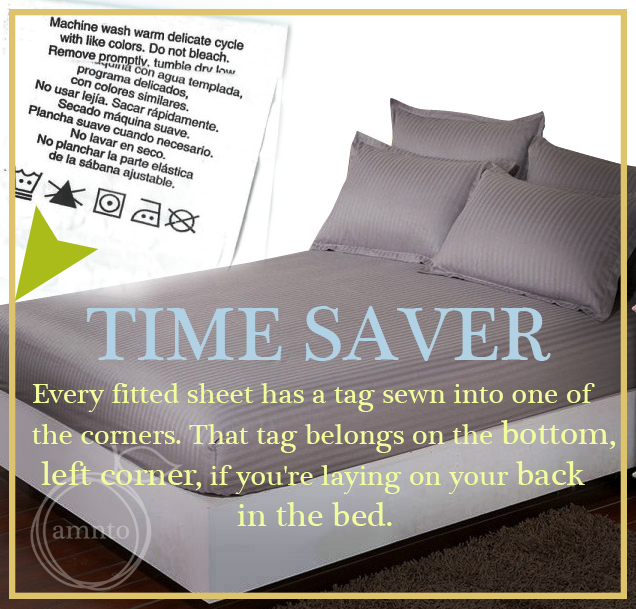 That tag belongs on the bottom, left corner, if you're laying on your back in the bed. You have probably seen those neat little Febreze Car Clip fresheners in store that claim to work wonders when attached to the vents in your car. However, did you know they are just as, if not more effective in your HOME?! 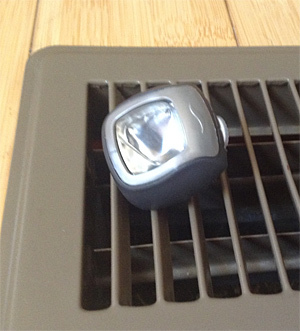 Simply clip on to your floor vents - when the heat is run, the scent is released. These clips work for quite awhile as well. A great air freshener for a small price! 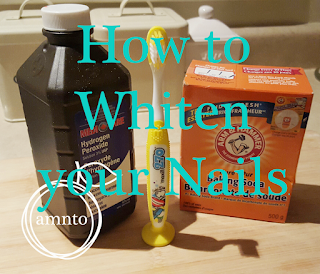 If you are a regular nail polish user, you are well aware of how stained and discoloured your nails can become after not being able to "breathe". This is also a useful tips for SMOKERS. 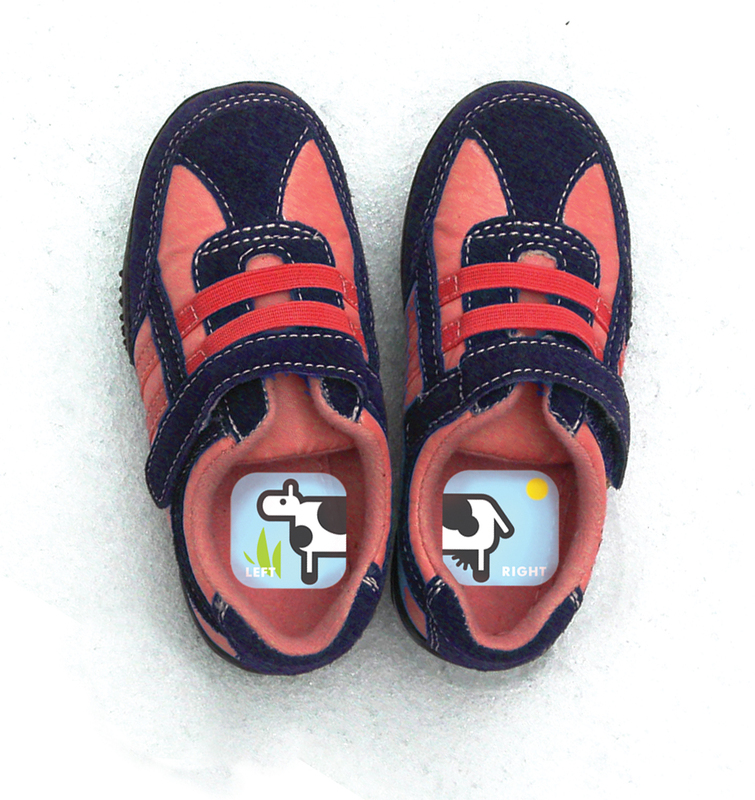 We now have the answer to keep those babies healthy and white! 1 Mix a small amount of baking soda and hydrogen peroxide together. 2. Make into a paste. 4. Soak your nails in the paste and let sit for approximately 5-10 minutes. This handy tip will prevent you from wasting an entire box of baking soda! 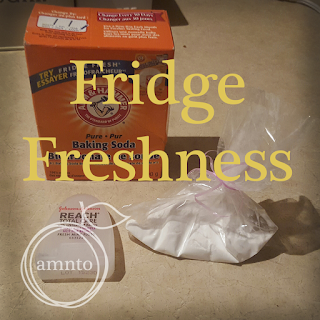 Instead of storing the whole thing at the back of your refrigerator to keep things fresh, create little "sachets" from small bags. Loosely tie off with either dental floss or ribbon so the baking soda is still able to do its magic. If you use your cell phone as much as I do, you are aware of how those chargers are not made to last! They fray or bend within a couple months time and you are left having to purchase a new one quickly. 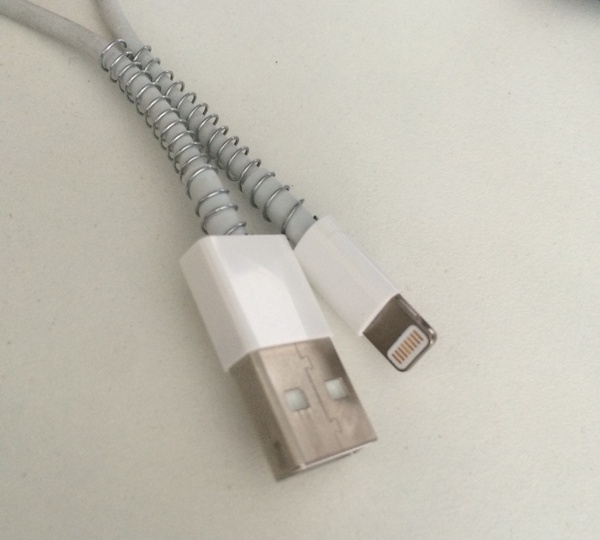 So here is a tip to prolong the life of your charger: use a spring from an old pen to keep it from bending and breaking. My kids don't eat cereal everyday - because obviously their tastes change from day to day (how many moms can relate?!) 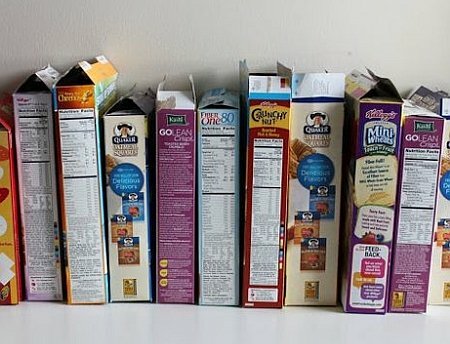 Therefore, I needed a way to keep all these opened boxes from going stale until the kiddos decided they were in a cereal phase again. That is when I discovered that actually storing your cereal in the freezer will prevent it from going stale! This has saved me so much money after not having to throw it all out.